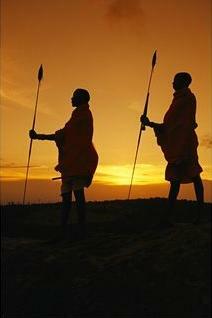 Above: Two Masai guides on a bush safari around sunset. 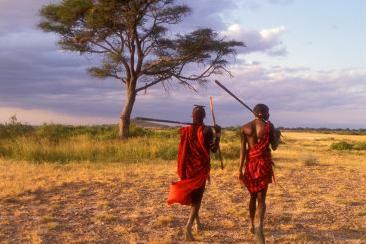 Tourism is one way the Masai supplement their meager incomes. They receive visitors in their for payment, allow pictures to be taken, perform dances in their village or in tourist resorts, or work as tour guides. 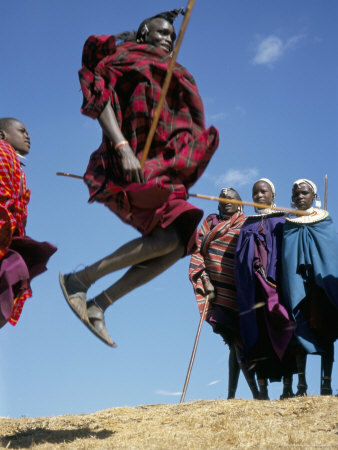 Above: The famous ‘jump dance’ of the Masai. By jumping high into the air, the warriors show their abilities and strength. 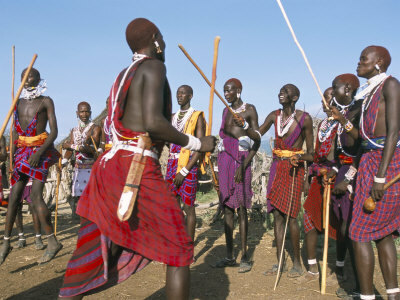 Above: A traditional Masai dance in the Manyatta village in the Rift Valley. Above: The Masai live in the Serengeti (Tanzania), Masai Mara and Amboseli (both Kenya) areas. The borders between Tanzania and Kenya, as well as most other African countries, have been created by European politicians in the 19th and 20th century. They are artificial in the eyes of the Masai and aren’t really recognized. 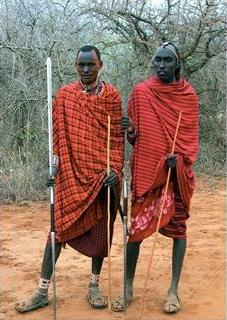 Above: Two Masai warriors. 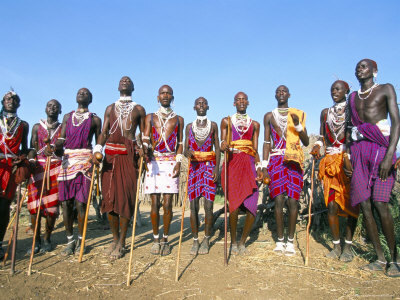 Masai men move to various stages in their life, with rituals or initiations in between them. Before becoming a senior warrior, a Masai man has to live separate from this family for many years, and kill a lion using only a spear. Above: Another Masai dance in a village in the Rift Valley. 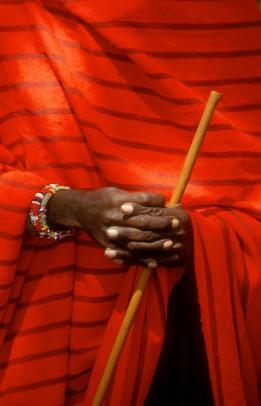 Above: The official color of the Masai is red. This image shows a Masai teacher in the Eseti Nursery School in Amboseli. 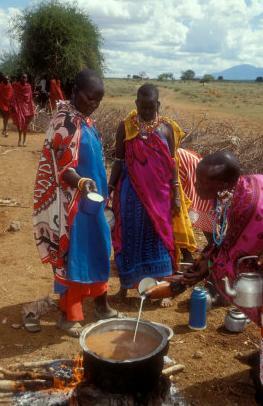 Above: Here are some Masai women preparing a wedding meal in Amboseli National Park. 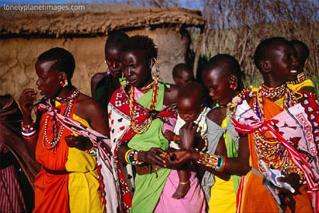 Above: Masai children and women in their village in the Masai Mara.